PRICE REDUCTION! 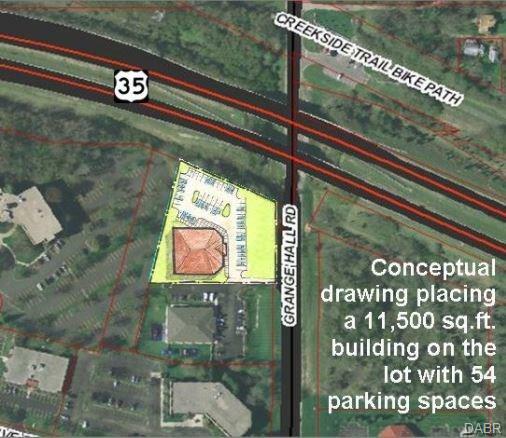 Motivated seller willing to look at all reasonable offers for the 1.373 acres available for sale in the expanding Beavercreek market.Located on one of the major thoroughfares in the expanding Beavercreek market this 1+ acre site has great visibility from Grange Hall Rd. as well as State Route 35. Close proximity to Wright-Patterson Air Force Base, the new College Park development near I-675 as well as the proposed Mission Point development on Col. Glenn. Listing provided courtesy of Warren A Miller of Hri Commercial Realty. © 2019 Dayton Area Board of REALTORS® MLS. Information Deemed Reliable But Not Guaranteed.